Jobs Matter and Sarah Matters! 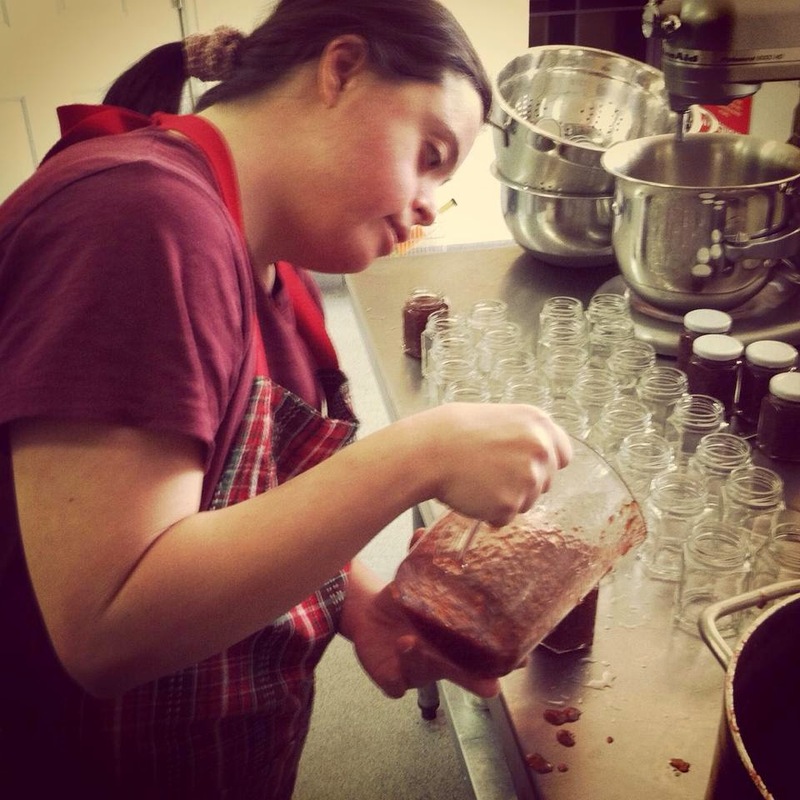 Sarah is busy working on MaryEllen's customized jars of jam at Steamers Coffeehouse in Arvada, Colorado that I am selling here in Memphis! She is one reason I am telling the world that jobs matter to ALL people! Aaron, Alexa, Amy, Betsy, Cassie, Chris, Crysta, Darol, David, Denise, Elsa, Emily, Jill, Jenniger, Jessica, Karen, Kira, Lucke, Nate "Dogg", Qiana, Penny, Robert, Meri, Nicole, Sara, Sharvetta, Sonya, Stephanie, Nick "Tiger", and Tina are many more reasons why I am telling the world that JOBS MATTER! Laurie, Kenny, Murphy, Tyler, Jenna, Amanda, Katie, Lacey, MaryEllen, the list goes on and on are more reasons JOBS MATTER! Jobs matter! It is really that simple. 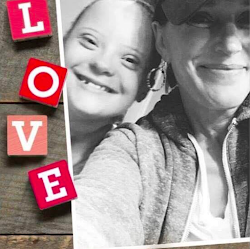 This all matters so much that I am committed to selling, to benefit the Down syndrome Association of Memphis, as many jars of jam from Steamers Jam as I can! So committed that I am offering to sell baskets as well. ME and I will put together a basket for you! Proceeds from the sale of our baskets will benefit the Down Syndrome Association of Memphis! The DSAM wants you to know that jobs matter to them too! So, help me, help Steamers and the Down syndrome Association of the Mid South, by helping me sell more and more of these yummy jars of jam! Share this post with anyone you think would be interested in purchasing a basket or a jar of jam! 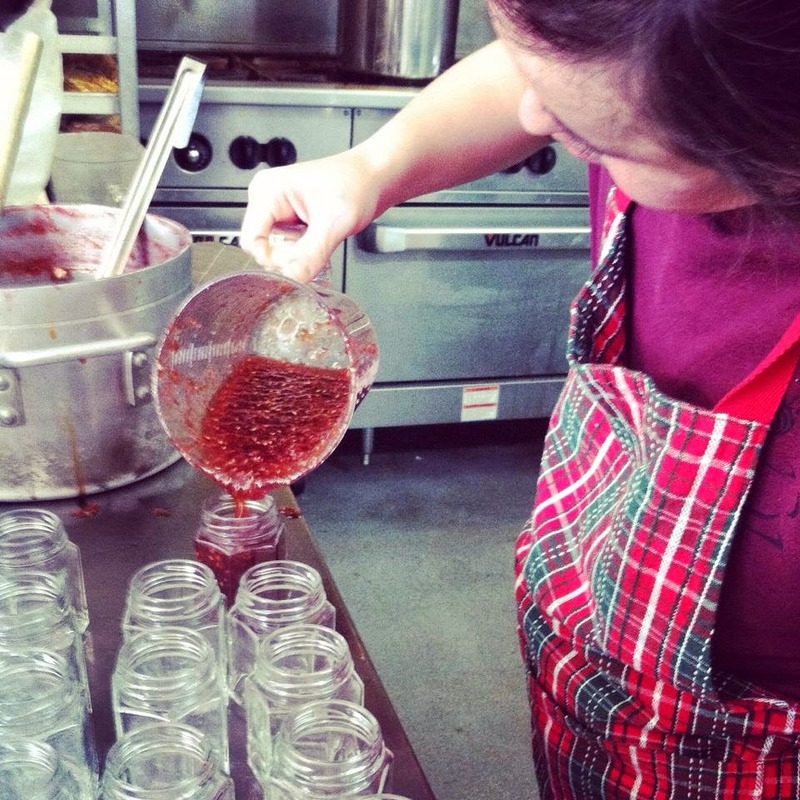 Let's keep Sarah and all of her friends at Steamers Jam making incredible Steamers Raspberry Jalapeño jam! And let's raise a little money, while we raise a little awareness, for the Down syndrome Association of Memphis! 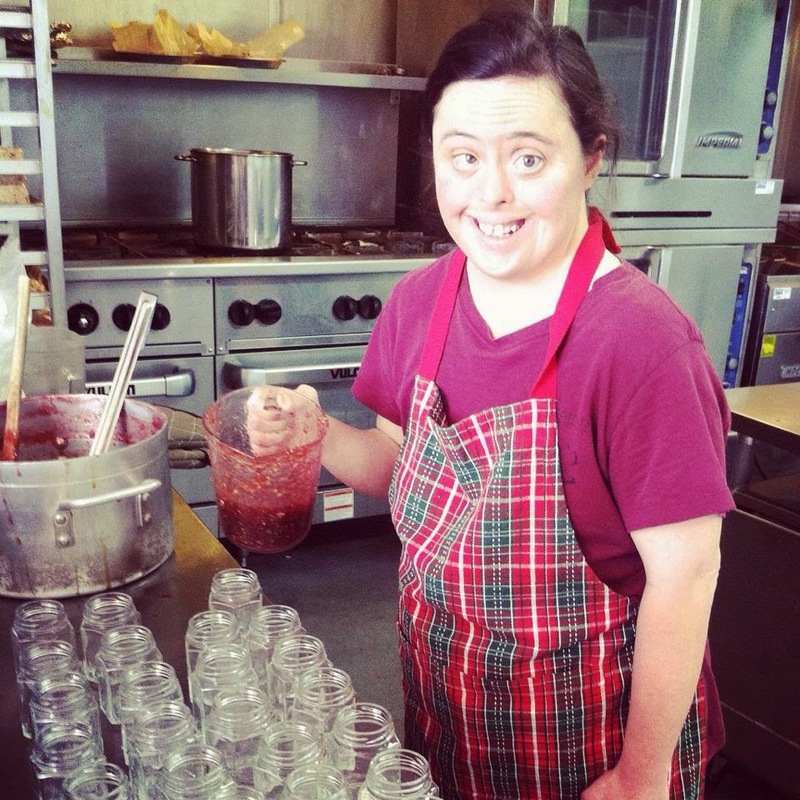 This entry was posted on Wednesday, April 1, 2015 and is filed under Down syndrome Association of Memphis,Jobs matter,Steamers Coffeehouse and Jams. You can follow any responses to this entry through the RSS 2.0. You can leave a response.